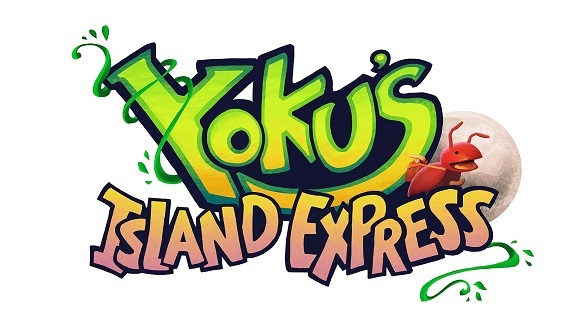 On this page, you will find all there is to know about the Software updates for Yoku’s Island Express on Nintendo Switch, originally released on May 29th 2018 worldwide. How to download updates for Yoku’s Island Express for the Nintendo Switch? Unopened chests and filled mailboxes are now visible regardless of a player’s location. Scarab trackers are now displayed on the map when you get to 10 Scarabs or less. Map marker for “Return to Nim” added after finding all three chiefs. Open chests and filled mailboxes are no longer visible on the map. Fix for quest marker for “Ask Tunguska about getting some Climbing Gear” now disappears when criteria has been met. Fix for shop marker missing on map for the Marrow Hill, Hideout Wickerling tracker. Background no longer appears at low quality textures if the inventory is opened whilst zooming out of a telescope. Map graphics no longer disappear when viewing the map immediately after leaving the Aerial Ascent telescope. Fosfor no longer re-appears in their lair if returning after saving and reloading. Music is now present in the pinball puzzle after approaching area from the Great Falls. It is no longer possible to block yourself in the Peak area. The camera no longer detaches from Yoku if using the Sootling on a Leash to fling Yoku off the edge in the Cove Mushroom location. Fix for typo in one of Chirp’s lines of dialogue. Graphical seam fixed when using the telescope near the bottom of the Great Falls. Sumoe shop marker is now removed if the treasure map is purchased through the discounted option. Fix for performance FPS drop if fruit isn’t collected from the Scarab in Everfrost Forest, The Lighthouse. It is no longer possible for Yoku to get stuck within the Screetch. Omh and Tilo no longer move location if you enter or leave Ivory Peaks Trail without talking to Jamja. Particle effect from Seed Pod Branch is now removed after it has been picked up. Lighting no longer pops at the top of the Tall Totem Tower reveal cutscene. Fix for performance FPS drop during the Tall Totem Tower reveal cutscene. It is no longer possible to knock the drop-down plank the wrong way in the Church of the Space Monks, Secret Sanctuary area. Improvements to the Simplified Chinese localisation.